This article has been seen 18582 times. 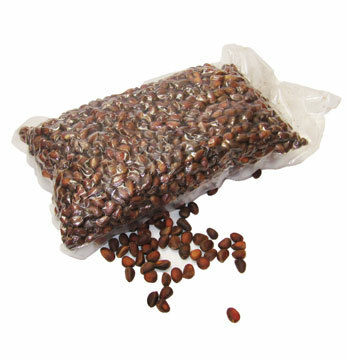 Medical qualities of Pine are known to traditional medicine since ancient times. They are now confirmed by modern scientific medicine, and supported by Christian and Vedic literature. 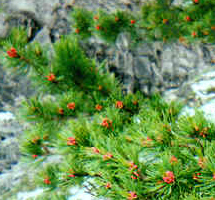 Virtually everything in a Pine tree - from its needles to bark morsels - possesses medical power. During the past centuries the traditional medicine was the only choice for people, but today many of us use it consciously, refusing to be treated by chemicals and artificial substances. Natural substances that are part of the tree structure help human organism to regain its health and functional balance. They have certain effect on the live cells and tissues, at the same time balancing the processes within the whole human organism as well as within each cell. The Siberian 'Pine' (also known in the West as the Siberian Cedar) is one of the most beautiful and majestic trees on the Earth. Ever since the very earliest times it has been considered a life-giving, healing tree. Pine wood excretes phytoncids, which destroy disease-inducing micro-organisms and serve to purify the air with healing and healthful properties. In the Old Testament (Leviticus 14: 4) God teaches how to heal people and even disinfect dwellings with the help of� the Pine. Scientists note that Pine-panelled rooms are practically bacteria-free, down to 200-300 bacterial cells per cubic metre. It should be pointed out that according to medical standards, even in operating rooms a level of 500-1000 non-pathogenic microbes per cubic metre is permitted. Pine walls emit positive energy. In Pine houses the air is always clean. Siberian Pine timber has a beautiful composition, with a lovely rosy colour. The noble colour of this sacred tree delights one's eyes and cheers one's mood year after year. Pine timber is resilient against decay, and is hardly ever subject to canker-worm. 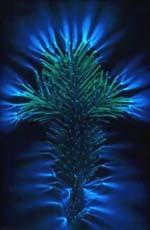 The Pine has a special spirit and influence. It eliminates tension, increases bodily immunity, and facilitates rapid health recovery after a difficult disease or operation. The Siberian Pine is the beauty and national pride of Russia. Residents of Siberia use Pine wood in their everyday lives. Carpenters lay down Pine floorboards in peasant huts, which are both beautiful to look at and warm to the touch. The Pine's resinous wood wards off all sorts of bugs, and thus has been used from the very earliest times to make furniture, including trunks, wardrobes, cupboards and dressing tables. Pine furniture is never troubled by moths, but even when dresser drawers or trunks were made of other kinds of wood, they would invariably place Pine cones in them. Just like the wood, Pine cones ward off bugs with their scent. 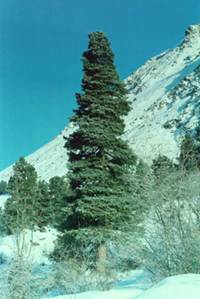 Peasants in certain regions believed the Pine wood killed harmful microbes. And so they preferred to make the bottom and lid of birch-bark cylinders out of Pine. In Western Europe Pine wood was used in the manufacture of milk jugs. The craftsmen claimed that milk kept in such a jug would last a long time before spoiling and would take on a pleasant flavour. All products made from Pine possess a powerful beneficial energy.